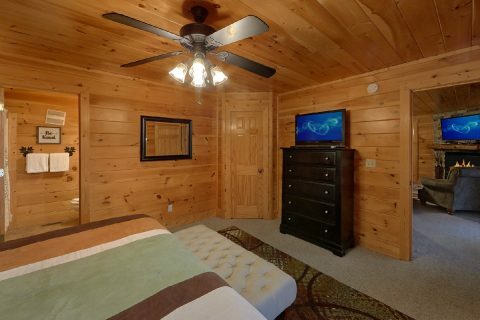 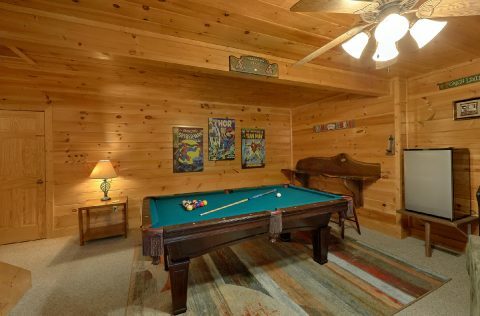 Need a cabin that offers an indoor swimming pool and an outdoor swimming pool for your vacation in the Smokies? 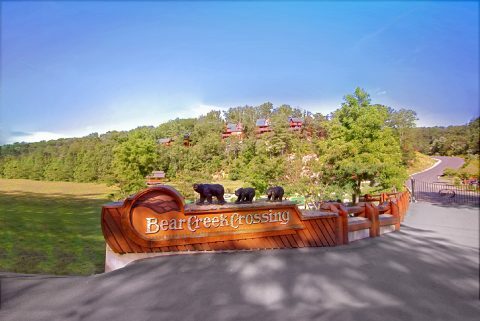 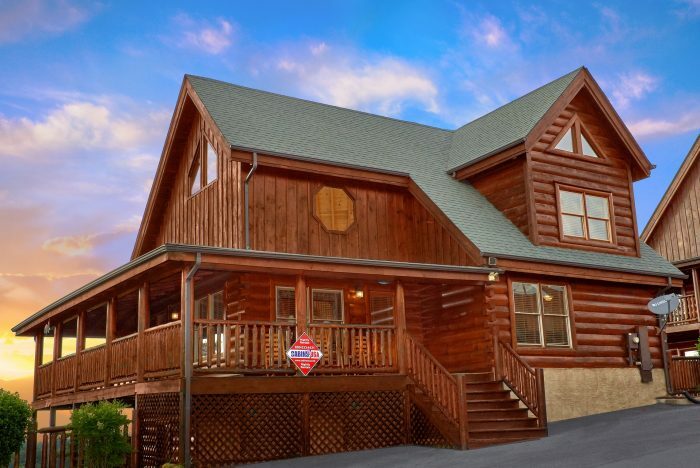 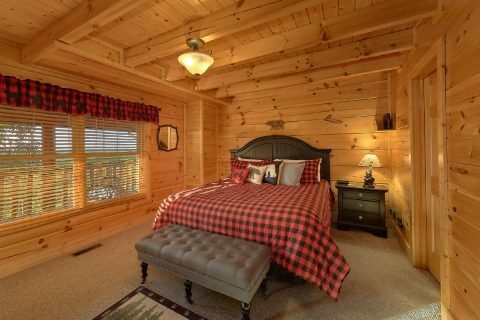 Come experience "Bearly Rustic," an impressive 4 bedroom luxury cabin located a short drive from Downtown Pigeon Forge in the Bear Creek Crossing Resort area! 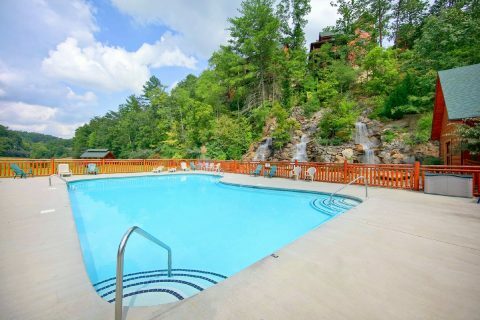 This premium cabin community provides guests with access to an indoor swimming pool and an outdoor swimming pool conveniently located on the resort property. 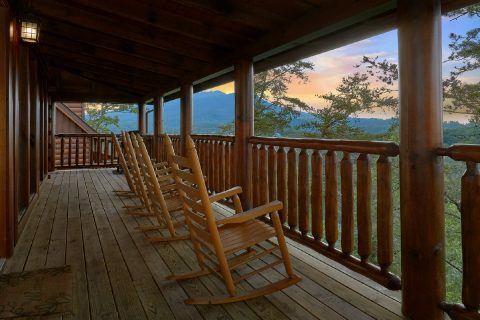 Additionally, this rental provides guests with a lovely mountain view that's bound to help you unwind during your stay. 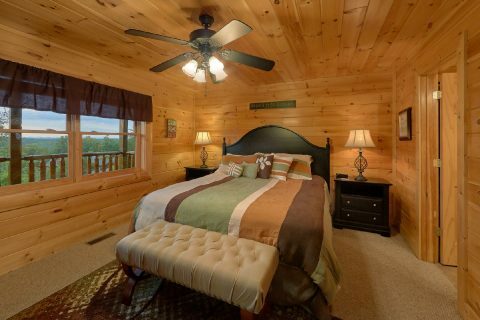 Better yet, this cabin keeps guests only minutes away from fun attractions in Pigeon Forge like Dollywood and beautiful sights near Gatlinburg like the Roaring Fork Motor Trail in the Great Smoky Mountains National Park. 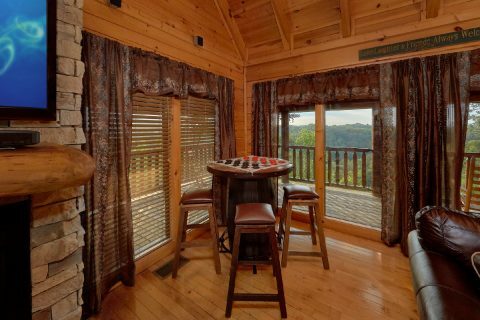 When you aren't out enjoying the best the Smokies have to offer, you'll love unwinding at this premium cabin with excellent amenities. 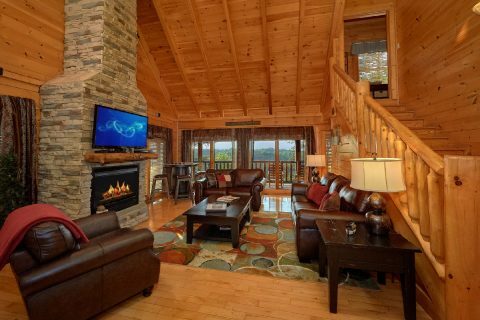 In the main living room, you'll find a comfortable space complete with an electric fireplace, vaulted ceilings, a television, and comfortable furnishings for kicking back with friends and family. 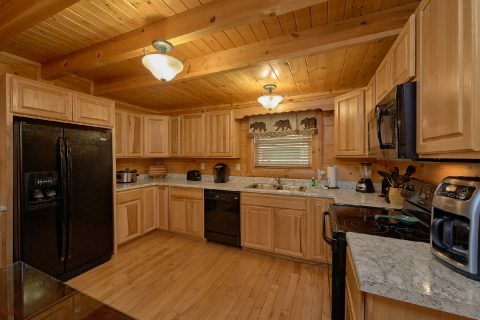 Nearby, you'll find a full kitchen area and dining area where you can keep your vacation on budget by preparing delicious meals at home. 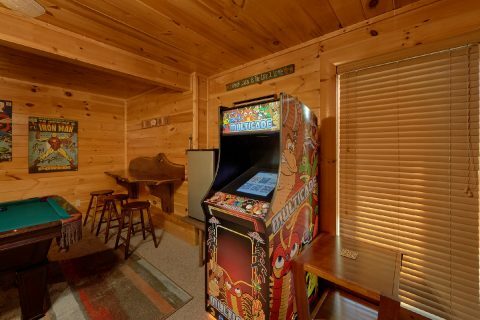 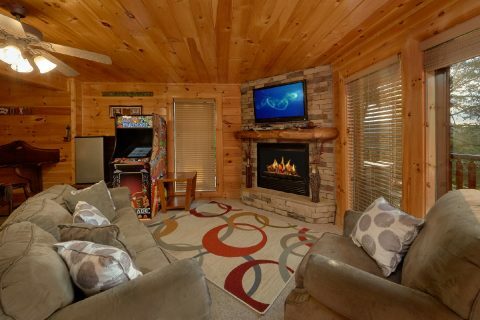 The lower level of your cabin features a game room complete with a pool table, arcade game, a television, and electric fireplace, and comfortable furnishings. 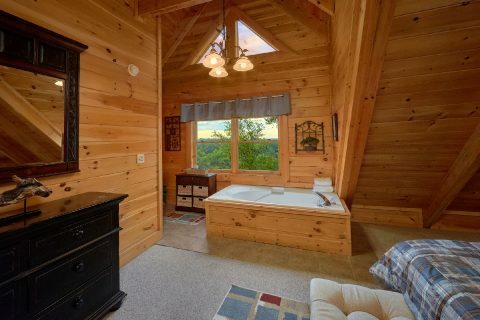 If you'd like to enjoy some time relaxing in nature, simply step out onto your cabin's deck to enjoy the fresh mountain air from the steamy waters of the hot tub. 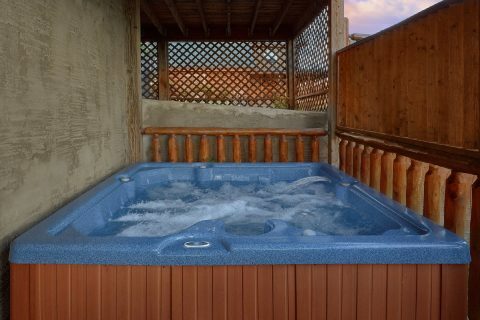 Additionally, this cabin provides a jacuzzi tub for guests to use during their stay. 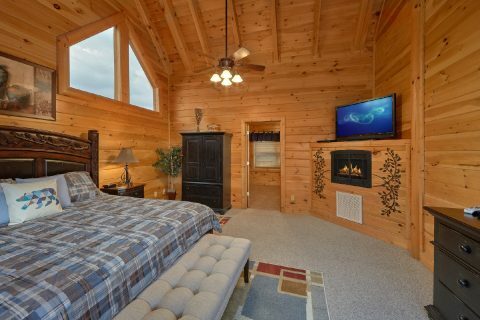 Once you're ready to get some shut-eye, you can look forward to sleeping in one of this cabin's 4 private king-size bedrooms that feature private bathrooms and flat-screen televisions. 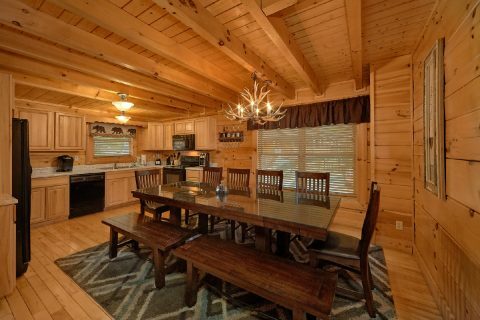 With 2 sleeper sofas for extra guests, this large cabin can easily accommodate up to 12 in comfort. Last, but not least, "Bearly Rustic" also comes with useful features like WiFi and a washer/dryer for you to use during your stay. 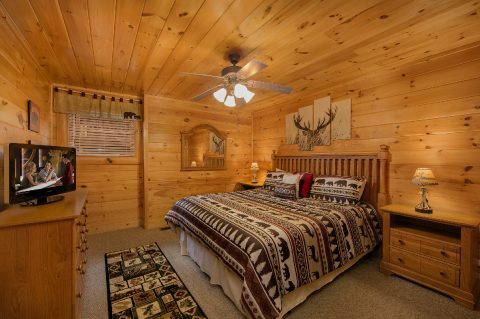 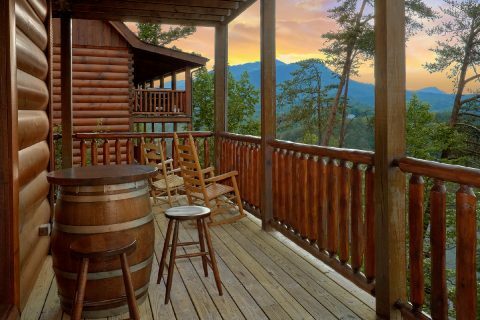 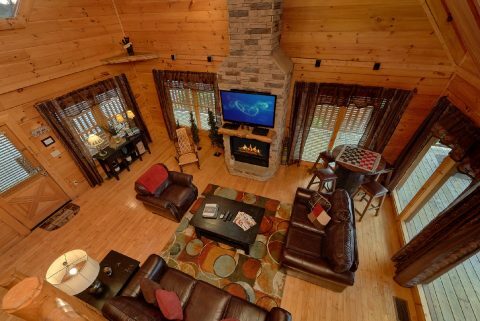 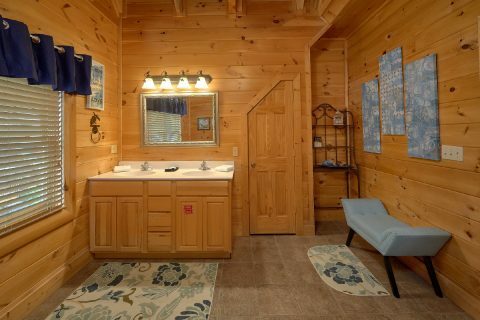 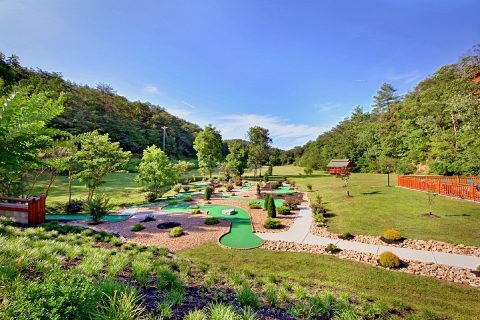 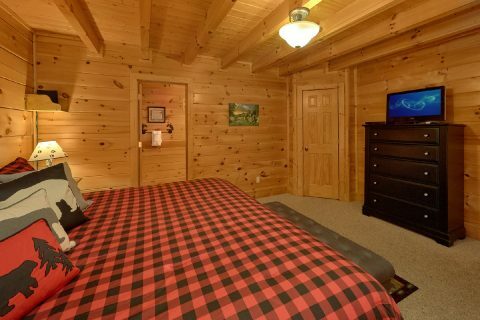 Book this premium 4 bedroom cabin with indoor and outdoor pool access from Cabins USA Gatlinburg and you'll save 15% on your nightly rate in the Smokies!